Arrive Colombo, You will be pick up from Airport & Transfer to Hotel, Keep Your Luggage at Hotel and Explore at your own, later at 1400 Hrs Check inn at Hotel & then Visit Colombo City Tour – A drive through the city taking you to the busy commercial areas as well as the tree-lined residential, Cinnamon Gardens. Visit Fort, the former British administrative center and military garrison, Sea Street – the Goldsmith’s quarters in the heart of Pettah, the Bazaar area, where is also a Hindu Temple with elaborate stone carvings and the Dutch Church of Wolfendhal dating back to 1749. Also visit the BMICH, see the replica of Avukana Buddha and the Independence Square. Return Back to To hotel, Overnight at hotel. After Breakfast, Check out from the Hotel & go for Colombo Shopping Tour – Visit the Mlesna exquisite tea boutique, cashew nut shop, readymade garments and all sorts at Majestic City. Visit the Lanka Ceramics Centre, a place where you can buy “NORITAKE SET” or other ceramic items, visit the Odel shop at Lipton place and’ House of Fashion’, later Proceed to Kandy & Visit PINNAWELA ELEPHANT ORPHANAGE – Off the ”Colombo – Kandy” road is Pinnawela, where an orphanage was started in 1975 to house the abandoned and the wounded elephants. The number of elephants has increased to more than 65 now; including Baby Elephants brought from various parts, as well as some of the more then 25 babies born, as a result of the captive breeding programme. The best time to visit is the feeding times and the bathing times when all the elephants are taken to the river close by. Return Back to To hotel, Overnight at hotel. After Breakfast , Visit Peradeniya Botanical Gardens – Royal Botanic Gardens, Peradeniya is about 5.5 km to the west of the city of Kandy in the Central Province of Sri Lanka. It attracts 2 million visitors annually. It is near the Mahaweli River (the longest in Sri Lanka). It is renowned for its collection of orchids. The garden includes more than 4000 species of plants, including orchids, spices, medicinal plants and palm trees. Attached to it is the National Herbarium of Sri Lanka. The total area of the botanical garden is 147 acres (0.59 km2), at 460 meters above sea level, and with a 200-day annual rainfall. It is managed by the Division of National Botanic Gardens of the Department of Agriculture. Later Visit City tour in Kandy including a visit to Kandy Temple followed with a Cultural Dance show. he hill capital is another “World Heritage Sites”. 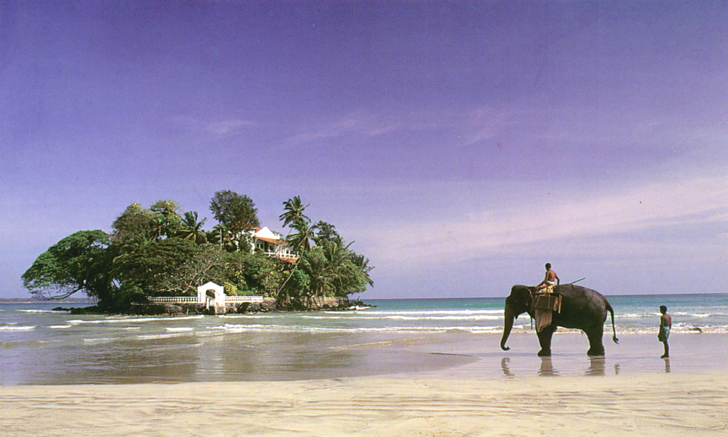 It was the last stronghold of the Sinhalese Kings during the e Portuguese, Dutch and British rule and finally ceded to the British in 1815 after an agreement. To the Buddhist of Sri Lanka and the World, Kandy is one of the most sacred sites as it is the home of the “Dalada Maligawa” – Temple of the Sacred Tooth Relic of Lord Buddha. Close by are the remains of the Royal Palace (Maha Wasala), Palle Wasala- where the Queens stayed-now used for the National Museum, Meda Wasala where other close relatives lived, Audience Hall, Natha Devala and Vishnu Devala are situated . The Kandyan dance has become most distinctively Sinhalese and is readily associated with the idea of a National Dance. This development can be explained by the fact that the Kandyan Kingdom was the last of the Sinhala kingdoms to fall under foreign rule (1815). Whilst elsewhere in the Island the Dance sank into indifference encouraged by neglect or began to manifest symptoms of corrupt form and body, in the Kandyan kingdom, the Dance flourished under Royal patronage and, like other crafts, was cared for with great interest. The systematization of the dance forms was possible and the oral tradition had time to spread amongst the villages. The Dance, apart from being kept alive, also maintained a purity which gives it its unique quality.. Morning after breakfast Proceed to Nuwara Eliya, e visit the Anjaneyar (Hanuman) temple of Ramayana Trail in Ramboda, followed by a visit to tea factory. Overnight at Hotel. Morning after breakfast Proceed to Visit the Sita Amman Temple – according to tradition, the site is associated with Sita of the Ramayanaepic. Ancient statues of Rama and Sita can be seen on a side of the temple. Later visit the Hakgala Botanical Gardens (Ashok Vatika)- one of the pleasure gardens of King Ravana. Arrive in Nuwara Eliya in the evening. Overnight at Hotel. Morning after breakfast Proceed to Bentota. Enjoy the boat ride at Madu River & Turtle Hacthary. Overnight at Hotel in Bentota. Morning after breakfast Proceed to Colombo and transfer to Airport to catch the flight for your home town. Tour ends with Happy memories. INR 15,000x 4 = 60,000 /- for 04 Adults including baggage . 1 USD = INR74 . The prevailing Rate of Exchange of the day of payment will be applicable.